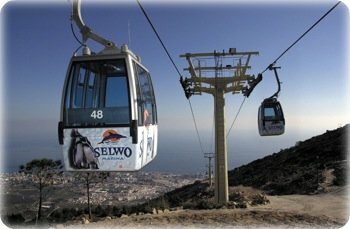 The Teleferico Benalmadena is a 15-minute cable car ride that takes you from Benalmadena Costa to the summit of Mt. Calamorro offering spectacular views of the Costa del Sol. Even those that have lived on the Costa del Sol for years are taken aback by the amazing vistas this accessible journey has to offer. At the top of the mountain you'll find hiking trails, an equestrian show and an aviary which features scheduled shows of exotic falcons, eagles and other wildlife. This is a great way to spend two hours with the kids showing them the stunning beauty and rugged landscape of the Costa del Sol. During the summer months, this attraction also has a planetarium attraction, which can make for a perfect warm evening beneath the Milky Way. Contact the venue directly at their details, below, for further information. Keep in mind the bird and horse shows take place at specific times throughout the day, If you are planning to see these presentations, make sure to call in advance to confirm the times so you maximise your time at this venue. This attraction may be combined with Selwo Marina, Sealife, or Tivoli World and is located 30 minutes from Marbella. Have you been here? Please let us know what you think in the comments section below or use the Share a Tip feature to let the community know about any other great experiences you've had on the Costa del Sol. This 15 minute three-kilometer cable car ride is more like a ski gondola which starts at Benalmadena Costa and takes you up 800 meters above sea level to the summit of Mt. Calamorro. Once at the top take a break in the cafeteria or visit the bird exhibition showing off various species such as falcons, eagles and owls. Or hike on any of the 2750 meters of trails that offer various view points over the Costa del Sol. There are also a number of well marked bike trails for the mountain bike enthusiast. Yes, they allow bikes onto the cable cars. Costa del Sol highway (AP-7), exit 222, Benalmádena-Arroyo de la Miel. Hours: Open most of the year (less in January and February) from 10:00 - 5:00/6:00/7:00 or 24:00 depending on time of year. Check the schedule for details.